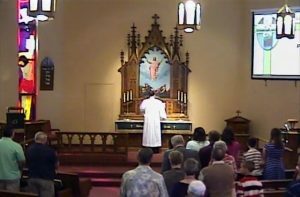 This website has postings for services held at Grace Lutheran Church. In recent years most services have posts. In earlier years only a few services, such as the Christmas Eve service, have posts. Also in recent years most posts have video or audio recordings. Click on a year in the following list to see a list of the service posts for that year.